2901 Broadway topped the list of $1 million-plus homes sold last year in San Francisco. The number of Bay Area homes selling for $1 million and higher skyrocketed last year, a clear sign of the region’s strong economy as well as its bright prospects for 2013. Across Pacific Union International‘s six Bay Area regions, 3,697 homes sold for $1 million or more in 2012, according to data from local multiple listing services — up 39 percent from 2011. In San Francisco, sales of $1 million-plus single-family homes rose 32 percent to 828, and similar sales of condominiums (176) jumped 76 percent. Together, the combined sales were 47 percent higher than the year before. High-end sales were even more remarkable. The number of San Francisco homes selling for $5 million and higher totaled 45 in 2012, nearly double the 24 sold the year before. Other Pacific Union regions made similar gains. Home sales of $1 million or more were up 43 percent in Sonoma County (to 239), 41 percent in Napa County (128), 38 percent in both Contra Costa County (824) and the Sonoma Valley (80), 32 percent in the Tahoe/Truckee region (128), and 28 percent in both Marin County (688) and the East Bay (341). Statewide, sales of $1 million-plus homes rose 27 percent from 2011 to 2012 to their highest level since 2007, according to DataQuick, a real estate research firm. Homes selling for more than $5 million in California totaled 697 in 2012, up 42 percent from the year before. 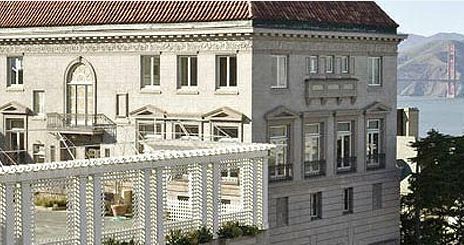 The most expensive home in San Francisco last year was an Italian Renaissance mansion at 2901 Broadway that sold for $28.85 million in December. Pacific Union represented both the buyer and seller in that transaction. Across the state, the most expensive sale was an 8,930-square-foot home in Woodside, in San Mateo County, that sold for $117,500,000 in November.